Truck Driver Training: Should You Consider it? 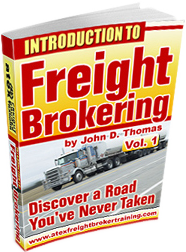 You are here: Home / Freight Broker Training / Truck Driver Training: Should You Consider it? According to Bloomberg, in 2013, there were approximately 25,000 unfilled truck driver positions across the US, and the shortage for qualified drivers continues. Add to this the median salary of $38,000 and the fact that by 2020, there will be a demand for 330,000 truck drivers in the country and it is easy to understand why trucking has become a sought after career prospect. However, before you are put behind the wheels of a 26,000-80,000 lb monster vehicle, you will need to get a Commercial Driver’s License (CDL). So, here is a look at the options available for truck driver training and what to expect from the programs. 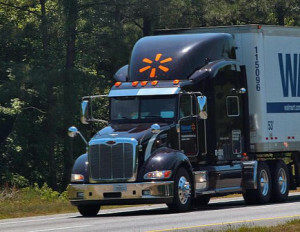 Are you eligible to become a truck driver? Trucking companies may have some variations when it comes to employment and criminal background requirements but a clean driving record is non-negotiable. If you have been convicted of driving related offenses, no company will even look at your resume for 5-10 years after the conviction. DUIs, DWI, license suspensions will all be career killers. Although felony cases are reviewed case by case; you will not find truck driving opportunities for 7-10 years after being convicted for the offense. Misdemeanors can also lead to disqualification, depending on the nature of the offense. A poor job history with significant gaps in between can pose a problem, so be prepared to address it if this is an issue for you. Usually, trucking companies will verify your work background for up to 7-10 years. If there are discrepancies, make sure that you have a solid explanation for these. You will need at the very least your GED, high school diploma or equivalent education. Although this is not a licensing requirement, most employers expect this much. Studying to become a driver comes in a few different forms. Find a path that is going to work for you to help you get where you’re trying to go. You can get your CDL without actually attending a truck driver training program. However, this can be a difficult feat to pull off since you will be expected to demonstrate your ability to operate the vehicle safely and with ease. Also, even if you do obtain your CDL, landing a job without going through a training program will be difficult. Instead, if financing the training program is a problem, you should consider company sponsored training. These are not free but you have to either pay nothing up front or only minimal fees. However, the trucking company will recover their expenses through salary deductions over a period of time. Some may even offer bonuses eventually which will make the training course free. There are two ways in which a trucking company can handle the training; they will either send you to one of the CDL schools that they have a relationship with, or they may have a training division in-house. In terms of the topics covered and the type of training given, the basics will be the same with the theory designed to help you get through the written tests. As far as the vehicles are concerned, you will be trained to operate the kind of vehicles that the company owns. This can be both a pro and a con. The advantage is that the on-job training period will be lowered since you will be driving the very same vehicles that you were trained on. However, if your company trains you to operate automatic transmission vehicles and overtime, if you want to move to another company that has manual transmission trucks, this would mean an additional investment in training or longer on-job training. The worst part is that this may limit your employment options when you want to move to another company/location. These are run by independent establishments. The courses they offer are pretty standard and if you go to a good school, they will also include placement services in the tuition fee. It is also possible to take a truck driving training course from some community colleges. These programs are quite thorough in their approach and reasonably priced. However, they will also be longer than the courses offered by independent schools. This is a win-win situation albeit it calls for a bit of work. In this case, you go through the interview, pre-employment screening and medical tests before you approach a CDL training school or while you are going through the training. Once you are found to be eligible, the company will issue a pre-hire letter which is essentially their way of telling you that once you get your CDL, you stand a very strong chance of being hired by them. However, this is not a job guarantee, so it would be best to aim for 2-3 pre-hire letters. Different types of funding are available under the Workforce Investment Act which can cover the entire tuition cost. Dislocated workers who cannot go back to working for the same company, plant or industry are also eligible for these grants. Many employers offer educational/training incentives and truck driver training may be covered by some approved programs. Check with the HR department of the trucking companies you’re looking at for more information on this. Native Americans are eligible to receive funding through the Bureau of Indian Affairs or the tribal council. If you have good credit history, you can easily get a new card that can be exclusively used to fund the training program. Typically, you can find cards will have an interest free period of a few months that will allow you time to repay them before interest begins to add up. Many independent CDL schools offer the option to start training by putting a down payment and paying the rest in installments after you find a job. If you didn’t have a transportation or driving job while in the military, you can still get the training you need! Most community colleges will offer VA loans. However, you will need to get in touch with the college to find out the amount they offer and the out of pocket cost that you will have to incur. When choosing a truck driver training school, only go to an establishment that is state accredited. Next, consider the location of the facility. Opting for a school that is away from your home town would mean that you will have to spend more for accommodation or commute. The price should also be a consideration but certainly not the only one. Yet, if there is a huge difference of about $1000 in the fees, this calls for deeper digging. Finally, play close attention to the most important factor- Training Quality. The driving time, job placement guarantee, instructor experience should all be closely studied and compared with that of other schools. Also, you should ask about the number of students handled by each instructor as this is bound to impact the training quality. Take the time out to tour the facility and talk to the students and the instructors and even observe live training sessions if possible. All of this will give you maximum value for your investment and make it easier to find employment after completing the truck driver training program. Stay up to date on the latest news and info about Freight Broker Training, deals on resources, and other great stuff! Do You Know about These New Surety Bond Requirements for Freight Brokers?